The BMM-810 is therefore a true oneâ€‘box monitoring solution for SES PS, eliminating the need for multi-vendor monitoring equipment. [Satnews] Since the initial rollout in 2011, SES Platform Services (SES PS) has continuously expanded and improved its BMM-810 monitoring installation. 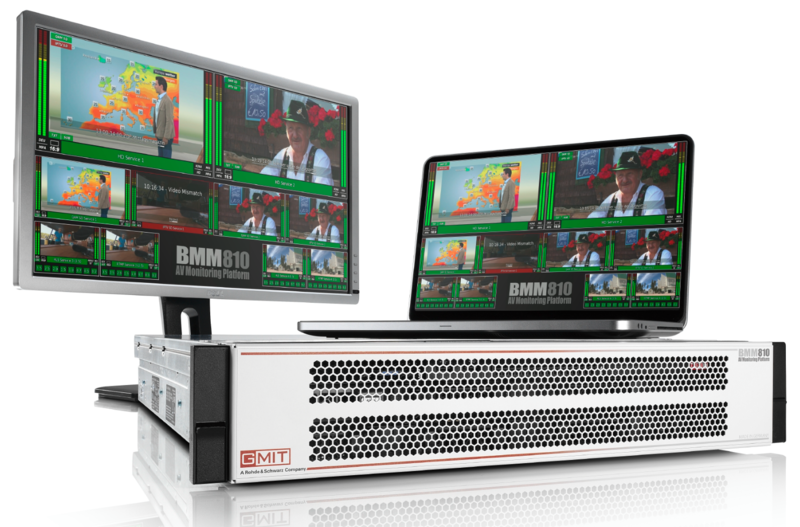 The BMM-810 A&V monitoring platform is used for all of the SES PS distribution channels, from satellite to cable to over-the-top Internet transmissions. It now monitors over 700 TV services in SD, HD and UltraHD resolution, supporting the first HEVC-encoded UHD broadcasts over Astra 19.2 degrees. The BMM-810 is therefore a true one box monitoring solution for SES PS, eliminating the need for multi-vendor monitoring equipment. The decision to choose GMIT’s BMM-810 was based on the product’s input flexibility and unique monitoring features. These include, for example, automated content mismatch detection, which allows SES PS to ensure highest service availability. In addition, the service-centric multiviewer visualization concept keeps monitoring of an ever-growing number of channels efficient and reliable. Furthermore, SES PS benefits from the high flexibility of the BMM-810 A&V monitoring platform and the extensive customization services provided by GMIT GmbH. Based on a maintenance and service contract and utilizing the flexible software approach of BMM-810, GMIT rapidly integrates new technologies and feature requests and provides SES PS with a truly customized monitoring solution.